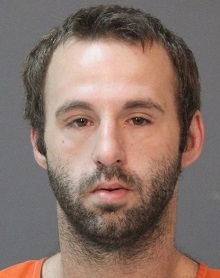 On March 7 Calcasieu Parish Sheriff’s Office detectives received a complaint in reference to Jacob P. Perry, 26, 407 Sid Lane, Moss Bluff, using counterfeit money for a purchase. During the investigation it was discovered Perry made arrangements to meet the victim to buy a cell phone and exchanged a counterfeit $100 bill, labeled “Motion Picture Use Not Legal Tender,” for the phone. The victim was able to meet with Perry and obtain her phone back. On March 9 CPSO detectives received two more complaints on Perry in reference to identity theft and theft. During these investigations detectives learned Perry stole a family member’s cell phone, worth approximately $800, and used her personal information on PayPal to order more counterfeit money, also labeled “Motion Picture Use Not Legal Tender.” The victim learned of the order through a confirmation email and was able to stop the transaction before the payment processed. It was also discovered another victim had their personal information stored on the stolen phone through Amazon. Perry used the victim’s Amazon account and ordered $360 worth of gift cards at various locations. The victim learned of the transactions and was able to cancel some of them. After further investigation detectives obtained warrants signed by Judge David Ritchie for Perry’s arrest. On March 15 he was located at his residence and arrested and booked into the Calcasieu Correctional Center and charged with monetary instrument abuse; 2 counts of theft less than $1,000; and 2 counts of identity theft. His bond is set at $45,000. CPSO Detective Kevin Fontenot is the lead investigator on these cases. Contents of this site © Calcasieu Parish Sheriffs Office.